Workshop building of brick elevations under a concrete roof. 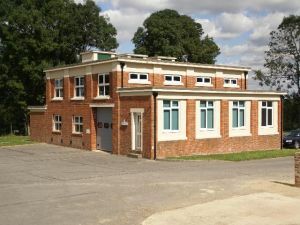 The building is arranged to provide workshop space with an office annexe which will be fitted out to meet an occupier's requirements. Eaves Height 15 ft 11"